If you ever see one of these suckers in your yard get it out pronto. My husband and I kept smelling something horrible and thought an animal had died nearby or something but it was a few of these guys. 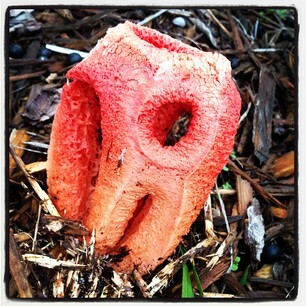 I guess they are called stinkhorn fungi and boy do they smell bad.